Chairman Baucus, Ranking Member Grassley, and Members of the Committee, I thank you for the opportunity to testify today. I am Michael R. Phillips, Deputy Inspector General for Audit at the Treasury Inspector General for Tax Administration. My comments today focus on the 2007 Filing Season, identity theft, tax fraud and tax practitioners. Each of these areas presents significant challenges for the Internal Revenue Service (IRS). The 2007 Filing Season appears to be progressing without major problems. As of March 24, 2007, the IRS reported that it had received more than 73.7 million individual tax returns. Of those returns, more than 53.0 million (72.0 percent) were filed electronically. The number of electronically filed tax returns is 5.6 percent higher than at the same time last year. The IRS has issued more than 62.9 million refunds for a total of $152.8 billion. March 24, 2007, the IRS received approximately 2.8 million tax returns through the Free File Program, compared to approximately 2.9 million returns at the same time last year. The Free File Program provides taxpayers with access to free online tax preparation and e-filing services made possible through a partnership agreement between the IRS and the tax software industry. The IRS Restructuring and Reform Act of 1998 (RRA 98) required the IRS to work with private industry to increase electronic filing. In response to this requirement, in 2003 the Department of the Treasury (Treasury), the Office of Management and Budget, and the IRS launched the Free File Program featuring private-sector partners that allow qualifying taxpayers to prepare and file their tax returns online for free. The Treasury, the Office of Management and Budget, and the IRS made this possible through a public-private partnership with a consortium of tax software companies, the Free File Alliance, LLC (Alliance). Eligible taxpayers may prepare and e-file their Federal income tax returns using commercial online software provided by Alliance members. The Free File Program debuted in January 2003. According to statistics provided by the Alliance, approximately 2.8 million taxpayers used the program during its first year. In subsequent years, use of the Free File Program increased significantly to about 3.5 million taxpayers in 2004 and about 5.1 million taxpayers in 2005. IRS.gov continues to be one of the most visited Web sites in the world, especially during filing seasons. As of March 24, 2007, the IRS reported more than 97 million visits to its IRS.gov Web site. Additionally, the IRS now provides practitioners with online tools to provide better service to their customers such as electronic account resolution, transcript delivery, and disclosure authorization. 14.4 million automated calls; a decrease of 5.7 percent from last year’s 15.3 million. It appears that automation demand is materializing slightly later than last year. Taxpayer Assistance Centers (TAC) are walk-in sites where taxpayers can receive answers to both account and tax law questions, as well as receive assistance in preparing their returns. TIGTA is currently in the process of making anonymous visits to TACs to determine if taxpayers are receiving quality service, including correct answers to their questions. As of March 24, 2007, there was approximately the same number of walk-in contacts as there was for the same period last year. The Volunteer Income Tax Assistance (VITA) Program plays an increasingly important role in the IRS’ efforts to improve taxpayer service and facilitate participation in the tax system. The VITA Program provides no-cost Federal tax return preparation and electronic filing to underserved taxpayer segments, including low income, elderly, disabled, and taxpayers with limited proficiency in English. These taxpayers are frequently involved in complex family situations that make it difficult to correctly understand and apply tax law. For Filing Season 2007, TIGTA is including the American Association of Retired Persons-sponsored Tax Counseling for the Elderly sites in its testing of VITA sites. TIGTA plans to visit 39 VITA sites to determine if taxpayers received quality service, including the accurate preparation of their individual income tax returns. TIGTA developed scenarios designed to present volunteers with a wide range of tax law topics that taxpayers may need assistance with when preparing their tax returns. These scenarios included the characteristics (e.g., income level, credits claimed, etc.) of tax returns typically prepared by the VITA Program volunteers based on an analysis of the Tax Year 2005 VITA‑prepared tax returns. As of March 30, 2007, TIGTA has had 33 tax returns prepared with a 48 percent accuracy rate, compared to the 39 percent accuracy rate reported for the 2006 Filing Season. TIGTA’s observations are that volunteers did not always use the tools and information available when preparing returns. TIGTA will report its final results in August 2007. See Figure 1 for comparisons of VITA Program activities for the 2006 and 2007 Filing Seasons through March 24, 2007. Source: IRS 2007 Filing Season Weekly Reports. 97 percent (32 of 33) of volunteer computers were password-protected. 39 percent (13 of 33) of volunteer computers had encryption software. To minimize the number of overstated refund requests and the administrative burden on individual taxpayers, the IRS decided to offer individuals standard refund amounts. Use of the standard amounts should significantly reduce taxpayer burden since no records are needed to support taxpayers’ requests. Individuals do not have to assemble 41 months of telephone bills to determine their refund amounts. Requesting the standard amounts requires the completion of only one additional line on the tax return. However, taxpayers are not required to request the standard amounts. If taxpayers do not choose to claim the standard amounts, they must file Form 8913, Credit for Federal Telephone Excise Tax Paid, with their U.S. Individual Income Tax Return (Form 1040 series). Taxpayers must attach Forms 8913 to their Forms 1040 to support any claims for more than the standard amount. The standard amounts developed by the IRS have proved to be very effective. Through the week ending March 24, 2007, IRS records indicate that 99.6 percent of telephone excise tax refund claims filed was for standard amounts. However, through this same time period, just over 30 percent of the individual tax returns filed contained no claim for a telephone excise tax refund, which indicates that many taxpayers may not be aware of their opportunity to claim this refund. TIGTA will be monitoring the steps the IRS takes to address this issue. Form 8913 to substantiate their claims. Form 8913, i.e., taxpayers claimed one amount on their tax return and a different amount on their Form 8913. As of March 24, 2007, over 39,000 such claims had been received that did not meet the IRS’ criteria for review. The amount of telephone excise tax refunds on these claims totaled over $33.8 million. Over 30,000 of these claims were on tax returns with no Schedules C, E or F, which makes the claimed amounts even more questionable. Many taxpayers filing large claims appear to be entering the total amount billed for long distance and bundled service rather than the Federal excise tax associated with those amounts. This may be due to taxpayers misunderstanding the instructions on Form 8913. Taxpayers making legitimate mistakes may very well be willing to self-correct their returns if the IRS informs them that they appeared to have claimed their entire phone bill or long distance bill rather than only the Federal excise tax associated with their bill. Addressing many of these cases may not require examination resources. Because telephone excise tax refund claims are not subject to the regular assessment process, most of these claims should be worked before refunds are issued. Discretionary examination programs can be worked after refunds are issued, if necessary. $1.2 billion (57 percent) of that amount was either abated or not collected after an average of 608 days from the date of assessment. The telephone excise tax refund is a high profile issue. For example, inappropriate telephone excise tax refund claims are now the Number One item in the IRS’ “Dirty Dozen” list of tax scams. In a news release issued early in the filing season, Commissioner Everson stated, "People requesting an inflated amount will likely see their refund frozen, may have their entire tax return audited and even face criminal prosecution where warranted. We won't stand idly by while some people try to cheat their neighbors and make off with money they don't deserve.” Allowing fraud to go unchecked in an area that the IRS has declared as a major priority may have a very negative effect on taxpayer compliance in the future. Taking into consideration the preceding factors, TIGTA recommended that the IRS re-examine all options at its disposal to address significantly more inappropriate telephone excise tax refund claims, including offering taxpayers the opportunity to self-correct their returns, postponing some examination work, and having non-examination employees work (or partially work) some of the simpler cases. The IRS responded to TIGTA’s concerns, stating that it does not plan to make adjustments to the threshold amounts. The IRS’ written response did not address TIGTA’s recommendation to allow taxpayers to self-correct their returns; however, during discussions IRS officials stated that they had no plans to issue notices to taxpayers and allow them to self-correct their errors because IRS officials believe: such notices would be ineffective; the IRS has limited resources to work the responses; and there would be many “no response” cases for them to work. Given the opportunity, many taxpayers overclaiming the telephone excise tax refund based on a misunderstanding of the instructions for Form 8913 may voluntarily self-correct the error. However, the time for IRS to develop a process and notice to facilitate this is limited and may actually be past. One preparer has filed 1,019 claims totaling over $677,000. The claims are all under IRS’ tolerance, and most of the claims are for one of five amounts that are repeated on the filed claims. One preparer has filed 1,138 claims. The preparer has filed returns for taxpayers in 31 different States. In addition to telephone excise tax refund claims, over 95 percent of the returns also claim employee business expenses. Many taxpayers who are 65 years or older (seniors), taxpayers who have claimed the EITC, and taxpayers who have computed self-employment tax have received repetitive math error notices (i.e., the taxpayers had received a notice addressing the same issue in the prior year). Taxpayers who receive repetitive notices may not understand or are repeatedly overlooking specific instructions provided by the IRS. These taxpayers may also not understand an area of tax law. Additionally, the current filing information available to these taxpayers, including notices, may be inadequate. Notices should not only inform taxpayers of their errors but should also educate them on the issues, and be a means to ensure that the errors do not occur in the future. Unclear or inadequate tax information and notices create an additional burden on taxpayers and often result in additional work and expense for the IRS. Annually, the IRS sends over 100 million notices to taxpayers; the IRS estimates this costs more than $400 million. Over 7 million of these notices are math error notices, which inform taxpayers that changes were made to their tax returns as a result of mathematical or clerical errors. The notices explain the nature of the changes and include account statements showing how the changes affect the returns. Overall, the vast majority of taxpayers receiving these notices do not repeat their errors in subsequent years. Further, very few business taxpayers receive repeat math error notices. The notices with a higher repeat rate are those sent to individual taxpayers and are related to a few areas of tax law. Five notices accounted for 40 percent of all repetitive math error notices issued to individual taxpayers, despite being only 13 percent of the total number issued. Senior taxpayers repeatedly made two errors when computing their taxes: (1) miscomputing their taxable amounts of Social Security benefits and (2) claiming an incorrect standard deduction. Random non-statistical samples of 80 senior taxpayers making one of these two errors showed that 95 percent had prepared their own returns. The average age of these taxpayers was 72, and 24 percent of them were 80 years of age or older. Taxpayers repeatedly made two errors related to the EITC. Most of these taxpayers made calculation errors, and others inappropriately claimed the EITC after having been prohibited from doing so and not recertifying that they were qualified for the EITC. Taxpayers making the repetitive calculation errors had either: (1) used the EITC Tables incorrectly year after year; or (2) filed a Profit or Loss From Business (Schedule C) but, for two or three years in a row, had failed to deduct one-half of their self-employment tax from the earned income amounts before computing the EITC. The issue regarding recertification for the EITC has been reported in prior TIGTA audit reports, and the IRS is working on corrective actions; therefore, TIGTA made no recommendations concerning the issue. Taxpayers made repetitive errors when computing or reporting their self-employment tax. Many of the taxpayers in TIGTA’s sample calculated the self-employment tax correctly but repeatedly carried the wrong amounts forward to their U.S. Individual Income Tax Returns (Form 1040). Other taxpayers calculated the self-employment tax incorrectly. A common cause was that taxpayers did not begin the computation by multiplying the self-employment earnings by 92.35 percent, as instructed. TIGTA recommended that the IRS modify the math error notices that have been sent repeatedly to taxpayers, to provide a clearer and more informative explanation of the errors taxpayers are making. In addition, TIGTA recommended that the IRS make changes to the forms and instructions associated with the provisions that have resulted in issuance of an inordinate number of repetitive notices. Finally, the IRS should continue to build on the research and analysis already performed to develop the most effective ways to simplify tax preparation for senior taxpayers. 1.4 million tax returns posted in CY 2005 that generated refunds totaling more than $427 million. The CADE is now in the process of completing delivery of Release 2.2. Release 2.2 will process 2007 Filing Season tax law revisions (Tax Year 2006) and additional tax forms. On February 27, 2007, the IRS and the PRIME contractor put Release 2.2 into production, but because computer reports on the number of returns received did not match the number of returns posted, the CADE was turned off and tax returns were sent back to the current IRS processing system. The IRS reports that a major portion of Release 2.2 was successfully put into production on March 6, 2007, (seven weeks late). On the first day, it posted over 571,000 tax returns of which 566,332 contained refunds. Because of the late start into production, the IRS goal of using the CADE to process 33 million tax returns will not be met. According to IRS officials, the latest estimate is that the IRS will complete the deployment of Release 2.2 by the end of April 2007, and it will post between 16 million to 19 million returns during the 2007 Filing Season. The Electronic Fraud Detection System (EFDS) is the primary information system used to support the Criminal Investigation Division’s Questionable Refund Program, which is a nationwide program established in January 1997 to detect and stop fraudulent and fictitious claims for refunds on income tax returns. Last year, the EFDS was not operational because the IRS and its contractors were unable to launch a Web-based version of the EFDS application (Web EFDS), resulting in an estimated $318.3 million in fraudulent refunds being issued as of May 19, 2006. On April 19, 2006, all system development activities for the Web EFDS were stopped, and all efforts were focused on restoring the client-server EFDS for use on January 16, 2007. The restoration effort required the contractors to prepare the EFDS and the related databases for 2007 by starting with the 2005 EFDS and updating it with the 2006 and 2007 tax law changes. In October 2006, TIGTA initiated an audit to determine whether the IRS was adequately monitoring the contractor’s development efforts in 2006 to ensure that a system was delivered in time for the 2007 Filing Season. TIGTA found that the IRS improved controls over the EFDS restoration activities, including executive governance and project management. As a result, project risks were being identified and mitigation actions were being taken to ensure that the EFDS was implemented and fraudulent refunds stopped during 2007. On January 16, 2007, the IRS and its contractors put the EFDS into production. The IRS reported that the telephone excise tax refund, split refund, and extender legislation requirements were implemented as scheduled on January 29, 2007. The IRS also reported that the EFDS continues to operate without critical problems. 20 percent (49,699 complaints) have had some impact on tax administration. The remaining identity theft complaints were related to credit card fraud, telephone and utilities fraud, bank fraud, Government benefits fraud, and other forms of fraud. While the overall number of taxpayers affected by identity theft related to tax administration is small, it can be very frustrating and time consuming for each victim to resolve his or her situation with the IRS. There are two primary types of identity thefts that relate to tax administration. The first type involves an individual using another person’s name and Social Security number to file a fraudulent tax return in order to steal a tax refund. The second type involves using another person’s Social Security number to obtain employment. According to the identity theft complaints that the Federal Trade Commission received during 2002‑2006, the number of fraudulent tax returns filed as a result of an identity theft has steadily increased from 3,075 to 15,254 (396 percent increase). The number of complaints on employment-related identity theft fraud more than doubled from 15,049 to 34,445 (129 percent) during the same time period. In July 2005, TIGTA reported that the IRS lacked a corporate strategy to adequately address identity theft issues. In response to some of TIGTA’s recommendations, the IRS agreed to develop: (1) updated agency-wide communication tools to be used to educate and assist taxpayers with information about identity theft; (2) agency-wide standards to ensure that the information taxpayers were asked to provide to substantiate identity theft claims is consistent throughout the IRS; (3) specific closing codes for cases involving identity theft that would allow the IRS to track and monitor the effect of identity theft on tax administration; and (4) processes to proactively identify instances of identity theft. In response to TIGTA’s report, the IRS established the Identity Theft Program Office in October 2005 to provide centralized development of policy and procedural guidance within tax administration and to implement an agency-wide strategy composed of three components: outreach, prevention and victim assistance. The Office was established in the Wage and Investment Division to facilitate cross-functional coordination. Authentication of identity – a copy of one of more valid U.S. Federal or State government-issued forms of identification (i.e., social security card, passport, driver’s license, and State identification card). Evidence of identity theft – a copy of a police report or Affidavit of Identity Theft filed with the Federal Trade Commission. Although TIGTA recommended in its 2005 report that the IRS standardize the requirements for taxpayers to support their identity theft claims, as of April 2007, the memorandum that the IRS created to disseminate this information to its employees is still under review and has not yet been issued. The IRS currently does not have a uniform process in every function for identifying cases closed as a result of identity theft. In response to TIGTA’s recommendation, the IRS agreed to refine certain coding to identify some identity theft case closures. For example, starting with Tax Year 2003, the IRS began using unique codes in one of its databases for identity theft case closures that resulted in no change in the tax liability (thus indicating that the actual taxpayer did not underreport; rather the underreporting came as a result of another person using the number for employment). However, the special codes are not readily identifiable as identity theft closures to most IRS employees. The IRS is currently in the process of establishing a universal identity theft code. This coding will allow anyone looking at an account on the Master File to see if a taxpayer has previously reported to the IRS that his or her identity had been stolen. Given the limited identity theft case tracking information currently available, the IRS, in TIGTA’s opinion, still lacks the comprehensive data needed to determine the impact that identity theft has on tax administration. More importantly, the IRS is unable to identify specific identity theft trends or take proactive steps to identify these cases in order to reduce the burden on taxpayers. TIGTA is currently reviewing the IRS’ identity theft efforts. During TIGTA’s on-going review, the Identity Theft Program Office has stated that the IRS does not use the Federal Trade Commission’s Identity Theft Clearinghouse database because all information is self‑reported by the taxpayer without any form of data validation, and a majority of the identity theft complaints are for consumer fraud (i.e. stolen credit cards) rather than tax administration. According to an October 20, 2006, IRS briefing document, leveraging the identity theft information gathered from agencies such as the Federal Trade Commission to better identify taxpayers who have been victims of identify theft was rated as one of the lowest scoring strategies. The IRS has not performed analyses to identify employers who consistently report wages for employees using stolen Social Security numbers. The IRS’ actions are therefore largely re-active in assisting victims of identity theft after they contact the IRS as a result of notice or enforcement action. The Identity Theft Program Office does not track the number of identity theft referrals to the Criminal Investigation function. However, the Criminal Investigation function only investigates identity theft issues in conjunction with other criminal offenses. “A mis‑match does not imply that you or the employee intentionally provided incorrect information. The IRS is in the process of moving the Identity Theft Program Office from the Wage and Investment Division to the Mission Assurance and Security Services (Mission Assurance) organization. According to the December 21, 2006, Memorandum of Understanding between Mission Assurance and the Wage and Investment Division, “…Identity Theft will be incorporated as part of enterprise information protection and will not be managed as a stand alone program office.” In fact, none of the Identity Theft Program staff are moving to Mission Assurance. Mission Assurance “may facilitate but will not direct activities determined to be tax administration or individual taxpayer assistance in nature.” Mission Assurance’s specific role will be further refined as the organization engages with the business divisions. The impact of the Identity Theft Program Office reorganization is unclear. However, TIGTA believes that in the short-term the IRS’ assistance to individual taxpayers victimized by identity theft will not improve from this realignment. TIGTA is also currently conducting an audit to determine the progress the IRS has made in ensuring the privacy and security of personally identifiable information. The assessment will be based on prior audits of significant privacy-related issues that TIGTA reported during the past four fiscal years. The IRS processes over 130 million tax returns and processes personally identifiable information on approximately 240 computer systems. Almost all of its employees and contractors have access to at least some of this information, making the protection of the data a significant challenge. The sensitivity of the data also makes IRS computer systems an attractive target for hackers and others who could use the information for identity theft. The IRS has taken several actions to protect personally identifiable information in its possession and to make the IRS a more security conscious organization. · The IRS has established a Security Service and Privacy Executive Steering Committee to serve as the primary governance body for all matters relating to security and privacy issues in the IRS. · Communications from the IRS Commissioner have set the tone to create a strong security environment by advising IRS managers that employees need to be reminded of their responsibilities to safeguard personally identifiable information and by dispelling the perception that security is solely the responsibility of the Mission Assurance and Security Services organization. · The importance of protecting personally identifiable information will be emphasized in a video scheduled for distribution to IRS employees in the third quarter of Fiscal Year 2007. The video will include statements by the IRS Commissioner and the Treasury Inspector General for Tax Administration. · The IRS has made significant improvements in its certification and accreditation process. For Fiscal Year 2006, the IRS reported its computer systems had a certification and accreditation rate of 95 percent, which is an improvement over Fiscal Year 2005 when only 35 percent of the systems were certified and accredited. · The IRS has made steady progress in recent years in complying with the requirements of the Federal Information Security Management Act of 2002. During 2006, the IRS reassessed the security risks of its computer systems, and TIGTA is confident that the inventory is substantially complete and the risk categorizations of the computer systems are accurate. · The IRS satisfied a major requirement of the Consolidated Appropriations Act of 2005 by appointing a Chief Privacy Officer to assume responsibility for privacy and data protection policies. The Chief Privacy Officer completed a comprehensive assessment of the IRS’ privacy and data protection procedures and made recommendations to strengthen the controls. However, TIGTA’s reviews during the past four fiscal years identified persistent computer security weaknesses that continue to jeopardize the security of personally identifiable information. IRS managers and employees are not complying with established security procedures. Furthermore, IRS executive management is not holding managers and employees accountable for carrying out their responsibilities and for ensuring that managers and employees are aware of the security risks associated with their positions. The following are some of the security issues that TIGTA identified during the last four fiscal years. · Employees were not encrypting personally identifiable information on their laptop computers and other electronic media. · Employees did not properly report incidents of lost or stolen computers and personally identifiable information. · The Office of Privacy and Information Protection did not take steps to ensure that the privacy of sensitive data was evaluated for all computer systems processing personally identifiable information. · Managers were not consistently reviewing audit trail information to identify unauthorized accesses to taxpayer accounts. · Managers and employees were susceptible to social engineering techniques. · Employees were not following the email use policy. · The IRS and its contractors were not integrating security controls into modernized computer systems. In addition, the foundation of computer security within an organization starts with strong policies and procedures that dictate what employees can and cannot do while performing their jobs. The IRS’ policies do not explicitly identify rules that govern physical removal of and remote access to personally identifiable information. The lack of a detailed organizational policy increases the likelihood that employees are unaware of risks and are not adequately protecting personally identifiable information. The IRS estimates that fraudulent refund claims exceed $500 million a year. Congress has held hearings urging the IRS to devote additional resources to improve its detection of fraudulent refunds, particularly claims filed by prisoners. At the same time, the National Taxpayer Advocate (Advocate) reported that actions taken by the IRS adversely affected taxpayers’ rights. The Criminal Investigation function reported that, as of December 1, 2005, it identified 132,945 fraudulent refund returns claiming $515.5 million in refunds during Processing Year 2005. In contrast, through September 29, 2006, the Criminal Investigation function identified only 44,788 fraudulent returns claiming $232.3 million in refunds during Processing Year 2006. The dramatic decrease occurred because the redesigned EFDS Web-based application was not implemented due to a lack of adequate oversight and monitoring of the project, as TIGTA previously reported. TIGTA has repeatedly reported over the last seven years that additional controls and procedures were necessary to identify instances of potential fraud. TIGTA concluded in a recent draft report that changes during Processing Year 2006 had a detrimental impact on identifying fraudulent returns and will have an undeterminable affect on Processing Year 2007. 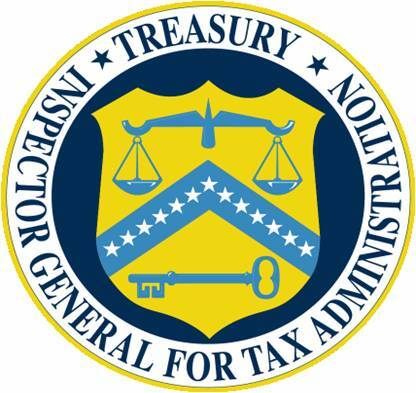 TIGTA is continuing its efforts, through a separate review, to evaluate the new procedures and the validity of the scoring methodology used by the Criminal Investigation function to identify potentially fraudulent returns and compiling demographic profiles of taxpayers to determine the effectiveness of the IRS’ screening process. In April 2005, the House Ways and Means’ Subcommittee on Oversight expressed concerns about the increase in refund fraud committed by individuals incarcerated in Federal and State prisons. TIGTA issued a report in response to that request, citing that the number of fraudulent prisoner returns identified by the Criminal Investigation function grew 318 percent, from about 4,300 during Processing Year 2002 to over 18,000 during Processing Year 2004. Statistics obtained from the Criminal Investigation function show that during PY 2005, almost 20,000 prisoner returns claimed over $834 million in refunds, including $407 million in the EITC. Due to the failures of the EFDS in Processing Year 2006, the Criminal Investigation function was unable to identify prisoner returns through data mining techniques. Instead, the Criminal Investigation function used various criteria to freeze prisoner refunds for tax returns on which the identifying information on the returns matched prisoner information for the Federal, State, and local prisons. $53.5 million were stopped. This shows the potential magnitude of the IRS’ lost ability to detect and stop fraudulent prisoner refunds during Processing Year 2006. TIGTA remains concerned about how fraudulent prisoner returns are identified. The Criminal Investigation function requested programming changes to the EFDS for Processing Year 2007 that effectively eliminated a certain category of prisoner refunds from the screening process, believing prisoners in this category were less likely to commit fraud. TIGTA is pleased to note that an amendment to H.R. 1677 was approved by the U.S. House of Representatives on March 28, 2007. The amendment would revise Internal Revenue Code § 6103 to temporarily allow the IRS to share prisoners’ tax information with the Federal Bureau of Prisons to prevent Federal tax fraud schemes originating from prisons. While this is an important step to combat refund fraud by prisoners, TIGTA is concerned that the amendment is limited only to disclosures to the Federal Bureau of Prisons. Analysis during TIGTA’s previous audits determined that about 85 percent of fraudulent prisoner returns were filed by inmates in State prisons. TIGTA recommends that Congress and the Department of the Treasury consider including disclosure to State prisons as well. Identity theft is a growing problem with refund fraud. Of the 44,788 refunds verified as fraudulent during Processing Year 2006 through September 29, 2006, the Criminal Investigation function indicated 7,957 (17.8 percent) involved identity theft. The Advocate’s 2005 Report to the Congress took exception to the Criminal Investigation function’s policy of automatically freezing the current and future years’ refunds of identity theft victims. The Advocate expressed concern that this policy is overly broad and causes significant and continuing inconvenience. The Advocate’s report indicated a need for an IRS-wide system that identifies which taxpayers are the victims of identity theft. In response to the Advocate’s concern, the IRS no longer freezes accounts involving identity theft for subsequent years. TIGTA recently reported that the greatest problem associated with identity theft cases was the Criminal Investigation function’s inability to identify identity theft victims whose tax accounts are frozen in future years and to timely determine if the taxpayers are again the victims of identity theft. In TIGTA’s opinion, the policy to not freeze the subsequent years’ accounts will not significantly reduce taxpayer inquiries and could result in additional lost revenue and significant taxpayer burden. If the Criminal Investigation function properly identifies identity theft freezes, notifies the taxpayers of the freezes, and timely resolves the freezes, the IRS will be providing a valuable service to the taxpayer while at the same time protecting Federal revenue. In recent years, the legitimacy of the values placed on some noncash donations has been questioned by the IRS and Congress. As a result, Congress passed legislation adding additional reporting requirements to substantiate the value of some of these donations. Individual taxpayers are required to file a Noncash Charitable Contributions (Form 8283) if their charitable deductions claimed for noncash contributions exceed $500. The amount of substantiation to be provided with the Form increases as the value of the deduction increases. We found that the IRS revised tax forms and publications and provided training and information to employees to facilitate implementation of the new requirements for claiming noncash charitable contributions. However, taxpayers and tax practitioners still need to be better educated concerning requirements for claiming charitable contributions. Also, additional procedures need to be established to identify noncompliance with charitable contribution requirements during returns processing. Better education of taxpayers and preparers and additional returns processing procedures will enable the IRS to address potential noncompliance, as Congress intended in its legislation. TIGTA estimated that 101,236 taxpayers could have claimed unsubstantiated noncash contributions totaling approximately $1.8 billion for the period January 15 through September 21, 2006. TIGTA recommended that IRS officials coordinate to develop a comprehensive outreach plan on the reporting requirements for noncash charitable contributions for the affected taxpayers and tax practitioners, and develop procedures to correspond with taxpayers to obtain missing Forms 8283 and supporting documentation. In their response to the report, IRS officials agreed with the first recommendation to supplement their outreach plans and partially agreed with the second recommendation. The IRS plans to continue to correspond with taxpayers who claim noncash charitable contributions over a specific threshold dollar amount and whose Forms 8283 are missing. In addition, the IRS agreed to use a specific indicator to identify for Examination returns claiming noncash contributions over the same threshold dollar amount but with no attached Forms 8283. However, TIGTA believes that the IRS’ dollar threshold for corresponding with taxpayers or examining returns with missing information is still too high and that few instances of unsubstantiated deductions will be addressed by the IRS’ actions. Taking action only when the deduction exceeds this threshold and only when the Form 8283 is missing (rather than incomplete) is not in keeping with Congress’ intent when passing legislation related to this issue. Tax practitioners play a critical role in the Federal tax system. Many taxpayers depend on tax practitioners to prepare returns, advise them on tax-related matters, and represent them before the IRS to resolve tax issues. The IRS Office of Professional Responsibility has an oversight role to ensure licensed tax practitioners (attorneys, certified public accountants (CPA), enrolled agents, enrolled actuaries, and appraisers) who practice before the IRS adhere to standards of conduct and professionalism. This includes the responsibility for investigating allegations of misconduct by licensed tax practitioners who represent taxpayers in matters before the IRS. In performing its oversight role, the Office of Professional Responsibility relies heavily on referrals involving tax practitioner misconduct from several sources including IRS employees, taxpayers, tax practitioners, law enforcement agencies, and State licensing authorities. Depending on information provided and the results of the Office’s investigation, the Office of Professional Responsibility can apply disciplinary actions including a private reprimand, censure (public reprimand), suspension, or disbarment. A tax practitioner may consent to the proposed disciplinary action, or the case can be sent for an administrative hearing. When the Office of Professional Responsibility takes a disciplinary action against a tax practitioner, it maintains the action on its case management system. The Office also records the information on its Intranet Web site and informs the public through Internal Revenue Bulletins. If the disciplinary action involves an enrolled agent, the Office will also update its enrolled agent database. Furthermore, if the disciplinary action suspends or revokes the practitioner’s eligibility to practice before the IRS, the Office will notify the appropriate IRS unit to update the Centralized Authorization File. The Centralized Authorization File is the computer system used by IRS employees to determine the scope of authority granted by the taxpayers, direct copies of tax notices and correspondence to taxpayer representatives, and obtain contact information to communicate with taxpayer representatives. There are approximately 1.4 million representatives on the Centralized Authorization File with an estimated 407,000 of these listed as licensed tax practitioners. Recently, the IRS has placed a greater emphasis on the oversight of tax practitioners. In its Fiscal Year 2005-2009 Strategic Plan, the IRS included a number of strategies to ensure attorneys, accountants, and other tax practitioners adhere to professional standards and follow the law. These strategies include outreach and education to tax practitioners and IRS operating divisions related to the standards of conduct, the IRS role in enforcing the standards, and the use of disciplinary actions when appropriate. To help ensure adequate resources are devoted to provide this oversight, the IRS substantially increased the budget and staffing of the Office of Professional Responsibility. In Fiscal Year 2002, the Office had a budget of $1.8 million and a staff of 15. By Fiscal Year 2005, the Office had a budget of $5 million and a staff of 56. During this time, the number of disciplinary actions by the Office also increased, primarily because of expedited suspensions, which are generally used by the Office in response to action already taken by Federal or State Government agencies to convict or disbar a tax practitioner or to revoke a practitioner’s license. One area in which the IRS has focused its enforcement is on tax practitioners who promote abusive tax avoidance transactions such as abusive tax shelters. This emphasis is in response to a growing problem with the promotion and use of abusive tax shelters. A number of IRS divisions and functions have taken a coordinated approach in addressing this problem. Furthermore, Treasury guidelines were revised to impose stricter standards on individuals and firms that provide advice related to transactions intended to shelter income from taxation. The new rules strengthen the standards to help ensure practitioners analyze and address carefully whether a particular transaction has a legitimate business reason and is not solely for tax benefits. In addition, monetary penalties can be imposed on promoters of abusive tax shelters in addition to any suspension, disbarment, or censure of a practitioner. Notwithstanding the increases in enforcement activity, there are still a significant number of tax practitioners whose conduct appears to warrant disciplinary action by the IRS but who have not been identified by the Office of Professional Responsibility. TIGTA’s audit of the Office of Professional Responsibility in 2006 determined that the IRS needs to improve its ability to identify such practitioners so it can take appropriate disciplinary actions. Some tax practitioners who have been convicted of tax-related crimes or whose licenses have been suspended or revoked by State authorities were not suspended from practice before the IRS. In addition, the IRS did not have an adequate method to notify the Office of Professional Responsibility of tax practitioners who were not compliant with their own tax obligations. In a statistical sample of 750 of the approximately 407,000 licensed tax practitioners, there were 34 (4.5 percent) who were not compliant with their individual tax obligations. These 34 practitioners had a total of 81 tax periods with balances due of $826,709 and 34 tax periods for which required tax returns had not been filed. Based on the sample, TIGTA estimated there were approximately 22,500 licensed tax practitioners who were not compliant with their tax obligations but who had not been identified for referral to the Office of Professional Responsibility. TIGTA previously reviewed the Office of Professional Responsibility in 2001 (the Office of Professional Responsibility was then known as the Office of the Director of Practice) and reported problems with the lack of information needed to assess or manage the resources used for the disciplinary proceedings program. TIGTA reported that the case management system was not used effectively to monitor program activities and resources and that case information was not always updated or accurate. During the 2006 review, TIGTA found the Office had not implemented some of the recommendations from the 2001 audit. Consequently, the problems reported in 2001 still existed. The Office still did not have information needed to effectively monitor program activities and resources, and the case management system still contained unreliable information. In addition to recommending that the IRS implement recommendations from TIGTA’s 2001 audit report, TIGTA recommended that the Director, Office of Professional Responsibility, work with other law enforcement agencies, including the Department of Justice, to improve the referral process and develop a process to obtain relevant information on State disciplinary actions by coordinating with State licensing authorities such as State bar associations and boards of accountancy. TIGTA also recommend that the Director work with other IRS functions to develop a method of uniquely identifying representatives on the Centralized Authorization File and use the information to notify the Office of Professional Responsibility when representatives are not compliant with their individual tax obligations. The IRS agreed with TIGTA’s recommendations. E-file Providers, including Electronic Return Originators, originate the electronic submission of income tax returns to the IRS. E-file Providers electronically submit income tax returns that are either prepared by them or collected from a taxpayer. As of November 17, 2006 there were 164,958 active e-file Providers. The primary means the IRS uses to regulate e-file Providers are the application screening process and the monitoring program. E-file Providers must meet age and citizenship requirements, pass a criminal background check or have a professional certification, and pass tax compliance verifications. The monitoring program is designed to ensure e-file Providers are in compliance with e-file regulations. In Fiscal Year 2004, TIGTA assessed the IRS’ regulation of Electronic Return Originators and reported it authorized individuals to participate in the e‑file Program without ensuring they met all required screening checks. For the limited number of individuals that were subjected to a criminal background check, procedures did not ensure the results from the criminal background check were properly analyzed before making a decision regarding acceptance in the program. In addition, the monitoring program did not include requirements to perform periodic criminal background checks or to analyze and use the results of the percentage of an Electronic Return Originator’s rejected returns as an indicator of noncompliance. In response, the IRS agreed to: (1) validate both the Social Security Number and date of birth during the e-file application process; (2) ensure criminal background checks are obtained electronically; (3) request the Federal Bureau of Investigation perform a background check using name and other available information on unprocessable fingerprint cards; (4) ensure individuals who provide professional certifications are in current standing; and (5) use e-file reject rates for selecting monitoring visits. The IRS did not agree to periodic criminal background checks of e-file Providers stating checks are done initially. TIGTA is currently conducting an audit to follow up on these actions and to determine whether the IRS’ screening and monitoring of e‑file Providers is effective. TIGTA plans to report the results in August 2007. While the 2007 Filing Season appears to be progressing without major problems, TIGTA is concerned that changes in the Free File Agreement and the elimination of Telefile Program in 2005 may be contributing to a significant slowing of the growth in electronic filing this year. The IRS discontinued the Telefile program for individual taxpayers in August 2005. The TeleFile Program allowed taxpayers with the simplest tax returns to file their returns by telephone. This slowed growth comes at a time when the IRS is still far from reaching Congress’ goal of 80 percent electronic filing by 2007. Slower growth in electronic filing will defer the efficiency gains for the IRS that result from electronic filing. Additionally, TIGTA is concerned about the IRS’ telephone excise tax refund program. While the IRS took corrective actions to address concerns about processing thresholds, the IRS declined to re-examine all options at its disposal to address significantly more inappropriate telephone excise tax refund claims, including offering taxpayers the opportunity to self-correct their returns, the postponement of some examination work, and the working (or partial working) of some of the simpler cases by non-examination employees. Furthermore, TIGTA is concerned about the growth in tax fraud and identity theft. These concerns are heightened during the filing season. Identity theft for tax fraud purposes is trending up and the IRS needs to ensure it effectively addresses this growth. While the IRS has begun to address the problem of identity theft, there is still much that needs to be done. I hope my discussion of some of the 2007 Filing Season and identity theft issues will assist you with your oversight of the IRS. Mr. Chairman and Members of the Committee, thank you for the opportunity to share my views. Taxpayer Service Is Improving, but Challenges Continue in Meeting Expectations (TIGTA Reference Number 2006-40-052, dated February 2006). A measure of labor hours in which 1 FTE is equal to 8 hours multiplied by the number of compensable days in a particular fiscal year. For FY 2005, 1 FTE was equal to 2,088 hours. Telephone Excise Tax Refund (TIGTA Audit Number 200630036). Various schedules may be attached to a tax return, if needed. Schedule C is for reporting Profit or Loss From Business; Schedule E is for Supplemental Income and Loss; and Schedule F is for Profit or Loss From Farming. The Earned Income Tax Credit (EITC) is a refundable credit designed to help move low-income taxpayers above the poverty level. Based on a 2001 IRS estimate. Customer Account Data Engine (TIGTA Audit Number 200620012). The PRIME contractor is the Computer Sciences Corporation, which heads an alliance of leading technology companies brought together to assist with the IRS’ efforts to modernize its computer systems and related information technology. The Electronic Fraud Detection System Redesign Failure Resulted in Fraudulent Returns and Refunds Not Being Identified (TIGTA Reference Number 2006-20-108, dated August 9, 2006). Draft Report Sufficient Emphasis Was Not Placed on Resolving Security Vulnerabilities When Restoring the Electronic Fraud Detection System (TIGTA Audit Number 200720028, date April 3, 2007). FTC Identity Theft Victim Complaint Data Figures and Trends January 1 - December 31, 2002; FTC National and State Trends in Fraud & Identity Theft January – December 2003, dated January 22, 2004; and FTC Consumer Fraud and Identity Theft Complaint Data January – December 2006, dated February 2007. A Corporate Strategy Is Key to Addressing the Growing Challenge of Identity Theft (TIGTA Reference Number 2005-40-106, dated July 2005). Memorandum of Understanding, dated December 21, 2006, Mission Assurance and Security Services and Wage and Investment, Identity Theft Program Transition. Security certification is a comprehensive assessment of the management, operational, and technical security controls in an information system, made in support of an accreditation, to determine the extent to which the controls are implemented correctly and operating as intended. Accreditation is the official management decision given by the owner of the information system to authorize the operation of the system and to explicitly accept the risks. Pub. L. No. 108-447, 118 Stat. 2809. The year in which taxpayers file their returns with the IRS. For example, most Tax Year 2004 returns were filed in Processing Year 2005. Draft Report Actions Have Been Taken to Address Deficiencies in the Questionable Refund Program; However, Many Concerns Remain, With Millions of Dollars at Risk (TIGTA Audit Number 200610003). Questionable Refund Program Phase II (TIGTA Audit Number 200710024). The Internal Revenue Service Needs to Do More to Stop the Millions of Dollars in Fraudulent Refunds Paid to Prisoners (TIGTA Reference Number 2005-10-164, dated September 2005). The Internal Revenue Service Needs to Improve Procedures to Identify Noncompliance With the Reporting Requirements for Noncash Charitable Contributions (TIGTA Reference Number 2007-30-049, dated March 5, 2007). The Office of Professional Responsibility was established in January 2003 to replace what was formerly the Office of the Director of Practice. A referral can be sent to the Office of Professional Responsibility using a Report of Suspected Practitioner Misconduct (Form 8484) or a written statement. In addition, the IRS public Web site, IRS.gov, has a link for tax professionals and taxpayers to submit referrals. The Enrolled Practitioner Program System is used to record and monitor individuals granted enrolled agent status by the IRS. Taxpayers can authorize individuals to represent them on tax returns or other tax-related issues by submitting a Power of Attorney and Declaration of Representative (Form 2848) to the IRS that is recorded on the Centralized Authorization File. American Jobs Creation Act of 2004, Pub. L. No. 108–357, 118 Stat. 1418 (2004) and Treasury Department Circular No. 230 (new regulations in effect June 20, 2005). The Office of Professional Responsibility Can Do More to Effectively Identify and Act Against Incompetent and Disreputable Tax Practitioners (TIGTA Reference Number 2006-10-066, dated March 2006). A tax period is a measure of time for which a tax return is required to be filed. Improved Case Monitoring and Taxpayer Awareness Activities Can Enhance the Effectiveness of the Tax Practitioner Disciplinary Proceedings Program (TIGTA Reference Number 2001-10-027, dated January 2001). A fingerprint card is not required if the applicant has a professional certification. For applicants that do submit fingerprint cards, only one in four is sent for a Federal Bureau of Investigation criminal background check. Improvements Are Needed in the Screening and Monitoring of E-File Providers to Protect Against Filing Fraud (TIGTA Reference Number 2004-40-013, dated November 2003).